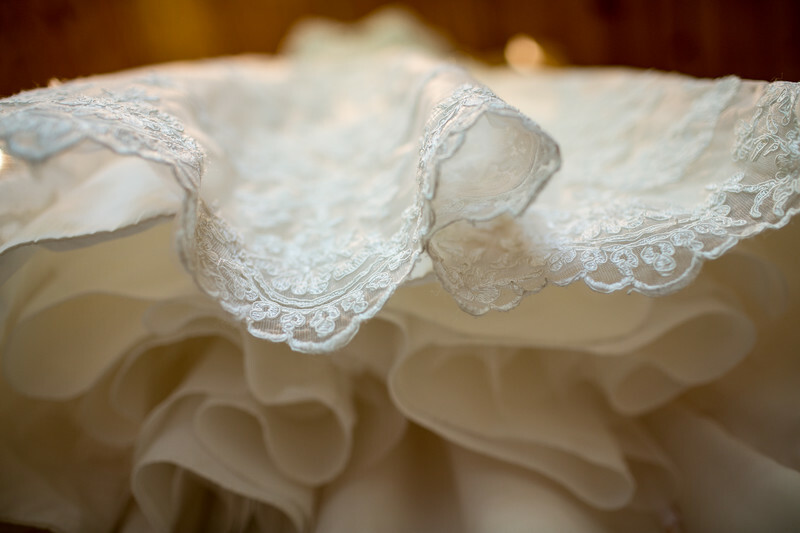 I love photgraphing the wedding dress before the bride puts it on for her wedding ceremony. It is fun to creatively find a unique spot to place it that represents the venue or location. For this photograph I hung the dress high on a door frame and got down on the floor and shot up letting the top of the dress blur away. 1/160; f/2.0; ISO 400; 35.0 mm.